a thousand words: "I caught a fish!" 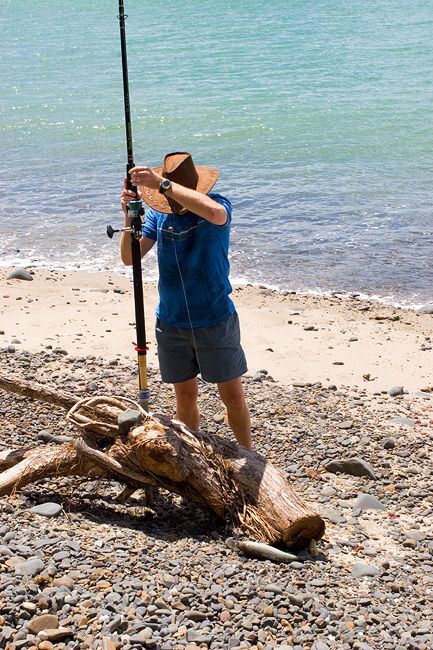 When I posted pictures of Grant fishing at Clarks Beach I was asked if he had caught anything. Sadly, no. He has been desperate to catch some fish for us to eat. Yesterday we spent a few hours at Kaiaua again in a different spot to last time, and he tried a little fishing again. Once a fish took the bait right off the hook without getting caught. Then he got a bite but as he was reeling it in the line snapped. Then he actually caught a fish! I even caught it on film. I couldn't stop laughing at how excitedly he squealed, "I caught a fish!" - it's been our new catch phrase in our family. Here's the clip - excuse the blue tint, I have no idea why it did that. 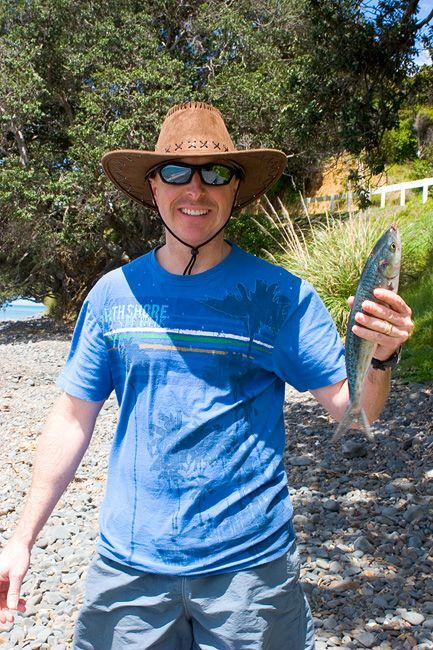 The fish he caught was a little kahawai and we had it barbecued last night and it was delicious! Well done, Grant!